Thanks to your feedback, Swimia has grow to be in just a number of months one essentially the most important web sites of swimming pools. 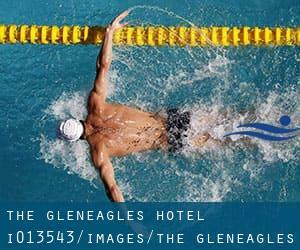 Here you have all the info we know about The Gleneagles Hotel, in Auchterarder. Do you know the opening hours? Are they providing any course? What is the price to get a single swim? Don't forget you can also promote this pool so The Gleneagles Hotel will appear the first of Auchterarder, or perhaps the very first of your country, contact us to know far more. This great and large sports centre lets professional swimmers like you enjoy 20 meters, Indoors. Additionally, within these facilities you can try 72 feet, Indoors. Unfortunately we do not have the email address of this Swimming Pool, but we can give you the phone number. St Catherines Retail Park , Perth , Scotland , UNITED KINGDOM (Postal Code: PH1 5RG). Swimmers like you reported 20 meters x 8 meters, Indoors. Unfortunately we do not have the email address of this Swimming Pool, but we can provide you with the phone number. The Muirs , Kinross , Scotland , UNITED KINGDOM (Postal Code: KY13 8AS). This sports centre provides 20 meters x 8 meters, Indoors. Contact information for this Swimming Pool for instance phone number and e-mail address are number. Pittenzie Road , Crieff , Scotland , UNITED KINGDOM (Postal Code: PH7 3JN). Swimmers like you reported 20 meters, Indoors. Unfortunately we do not have the e-mail address of this Swimming Pool, but we can give you the phone number. Off the A9 , Dunkeld , Scotland , UNITED KINGDOM (Postal Code: PH8 0HX). Among all the activities offered by the centre, if you are thinking about swimming you are going to take pleasure in 17 meters, Indoors. Just in case you wish to get in touch with this Swimming Pool just before dropping by, we only know the phone number. Glasgow Road , Perth , Scotland , UNITED KINGDOM (Postal Code: PH2 0HZ). Swimmers like you reported 25 meters, 5 lanes, Indoors. Unfortunately we do not have the email address of this Swimming Pool, but we can give you the phone number. Lathro Court , Milnathort , Kinross , Scotland , UNITED KINGDOM (Postal Code: KY13 8SY). Swimmers like you reported 25 meters, 5 lanes, Indoors. Unfortunately we do not have the email address of this Swimming Pool, but we can give you the phone number. Ewanfield (Road) , Crieff , Scotland , UNITED KINGDOM (Postal Code: PH7 3LQ). Swimmers like you reported 20 meters x 8 meters, 3 lanes, Indoors. Phone number and e-mail address are number for this Swimming Pool. Crieff Road , Aberfeldy , Scotland , UNITED KINGDOM (Postal Code: PH15 2DU). Among all of the activities provided by the centre, for anyone who is interested in swimming you may delight in 25 meters, Indoors. Just in case you want to contact this Swimming Pool before dropping by, we only know the phone number. Beeches Road , Blairgowrie , Scotland , UNITED KINGDOM (Postal Code: PH10 6PN). This sports centre offers 20 meters, 5 lanes, Indoors. For this Swimming Pool, only phone number is number here.